Thank you for taking advantage of this once-in-a-lifetime opportunity to share the exhibition Van Gogh, Gauguin, Cézanne, and Beyond: Post-Impressionist Masterpieces from the Musée d’Orsay with your students. The exhibition includes more than 100 of the Musée d’Orsay’s most famous late-19th-century paintings, including late Impressionist work by Monet and Renoir, the more individualistic styles of the early modern masters including Cézanne, Gauguin, Toulouse-Lautrec, and Van Gogh, and wall-sized decorative panels by the pioneering Nabi painters Bonnard and Vuillard. The exhibition also provides a unique look at the Orsay’s spectacular collection of painters using the technique of pointillism, including work by Seurat and Signac. 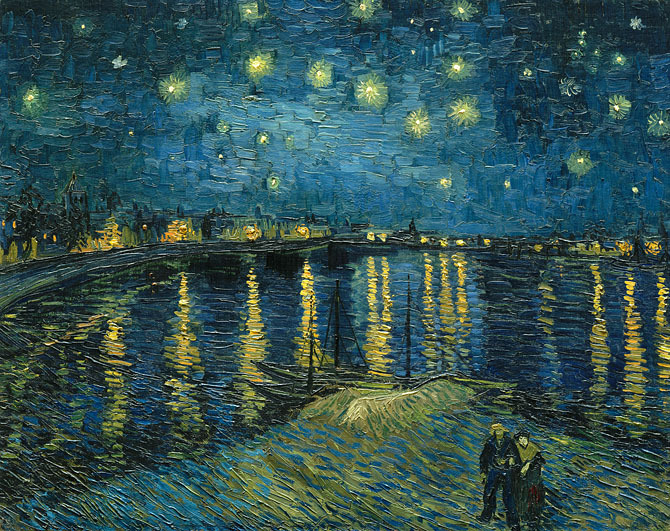 In this curriculum guide you will find lesson plans that help students discover the revolutionary nature of Post-Impressionist art work and artists through the language arts and visual arts. Lessons have been developed in partnership with the Bay Area Writing Project and Teacher Consultants Rebeca Garcia-Gonzales and Marty Williams. the William K. Bowes, Jr. Foundation, Denise Littlefield Sobel, and Douglas A. Tilden.